More than two thousand British prisoners of war (P.O.W.s) were used as forced labour within the chemical complex at Blechhammer North. As a result of an agreement signed between Italy and Germany a number of these P.O.W.s arrived at Blechhammer toward the end of summer 1943 from prisoner of war camps at Fossoli, Laterina and Sforzacosta. 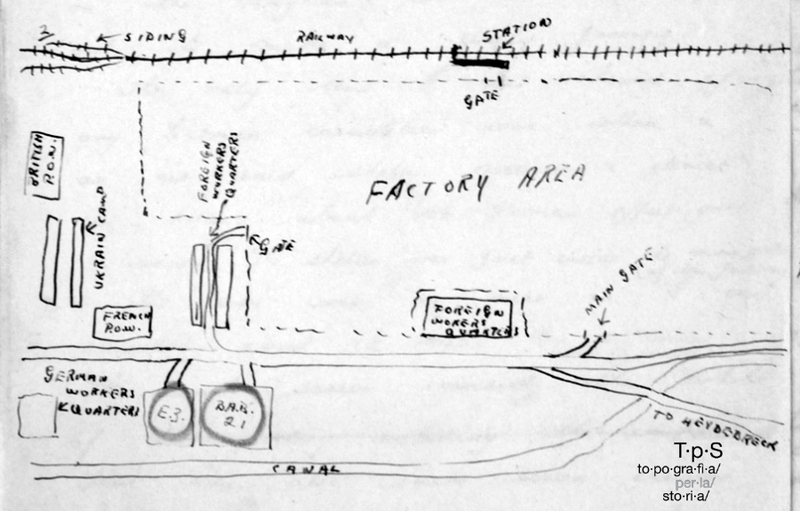 On the map of Blechhammer North shown above, drawn by a British prisoner of war, three separate prisoner of war camps are indicated: the Bau-und Arbeitsbataillon B.A.B. 21, and the two Arbeitskommando known as E 3 and E 793. From other sources it is known that at the outset there was another Bau-und Arbeitsbataillon at Blechhammer known as B.A.B. 48, amalgamated in March 1943 with B.A.B 21, which in turn changed its name to E 793 in December 1944. 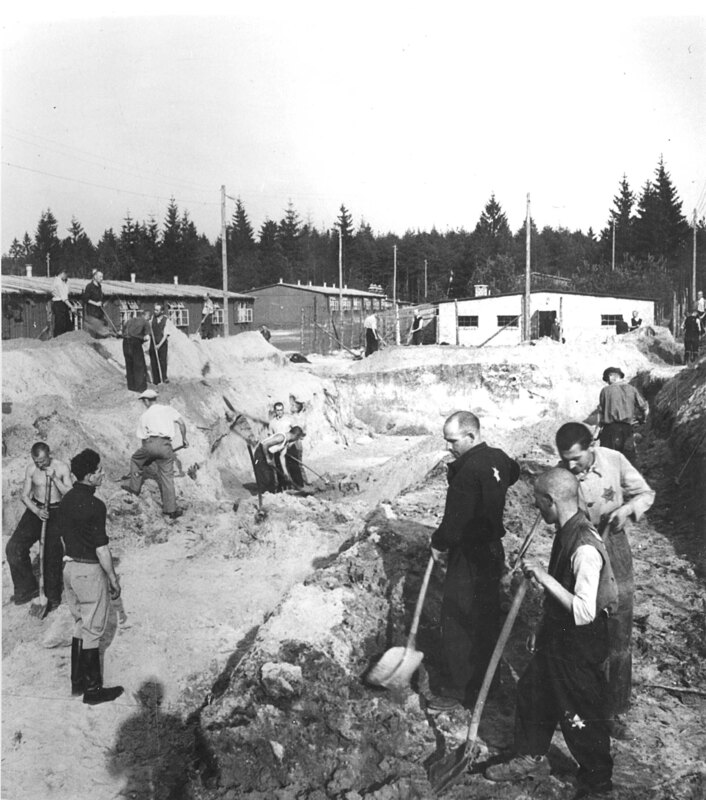 A work camp for Jews had been in existence at Blechhammer since April 1942, through which had passed an estimated 5 thousand or more detainees from 15 different European countries. One section of the wooden barracks housed about 200 women. On 1 April 1944 the Jewish camp came under the administration of Auschwitz (Auschwitz IV). 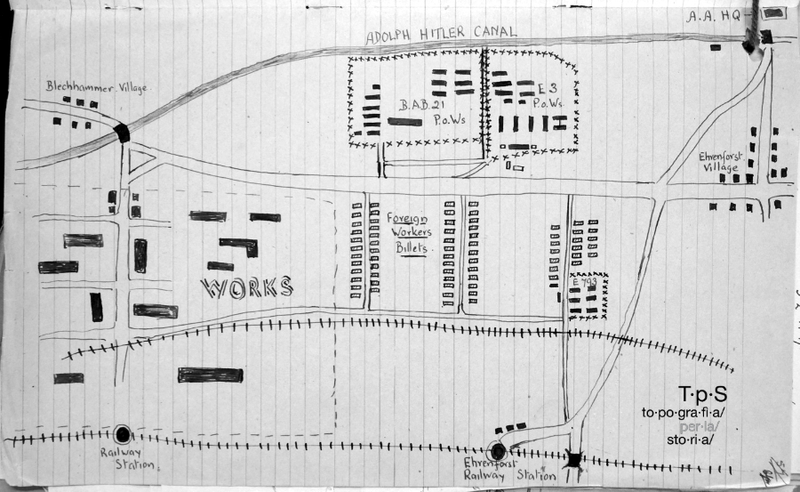 It has been estimated that in the camp – which had its own crematorium – about 1,500 Jewish forced labourers perished. Starting on 21 January 1945 the entire industrial complex of Blechhammer was evacuated in the face of the advancing Soviet Army. 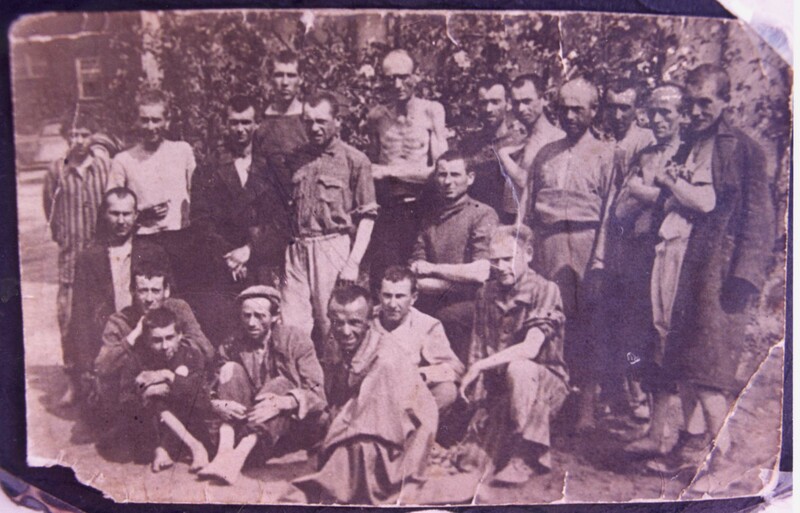 The Jewish prisoners were forced to set out on a terrible march which was to take them to the camp at Gross-Rosen, which was reached by the survivors – 800 had been killed en route – on 2 February.